nj arts maven: Celebrate the New Year with NJFO! 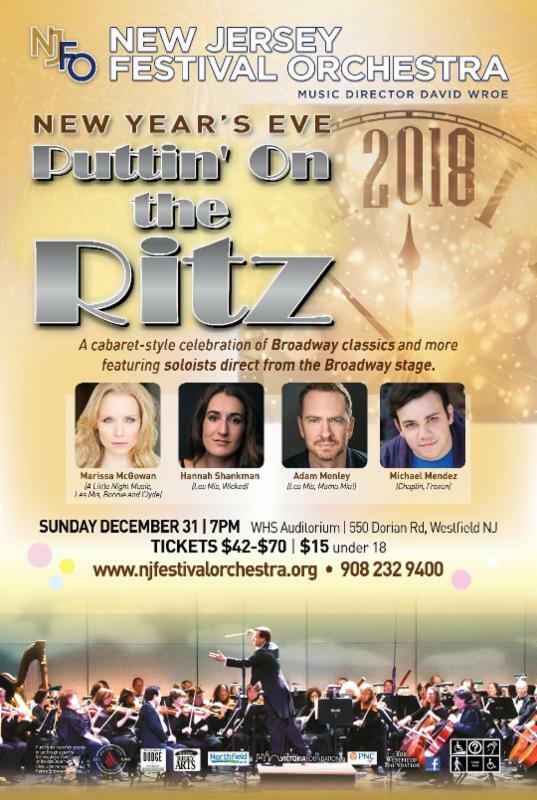 A cabaret-style event for the whole family, PUTTIN' ON THE RITZ promises a superb revue of American musical theater showstoppers from stage and screen presented in glorious symphonic splendor. Featuring renowned guest singers direct from the Broadway stage and beyond, this is New Year's Eve at its finest. Come revel in the musical genius of America's great composers, outstanding vocal performers and dancers, and a world-class professional orchestra led by Maestro David Wroe.